If you are interested in exhibiting poultry, I wanted to share a resource with you that I discovered earlier this week. 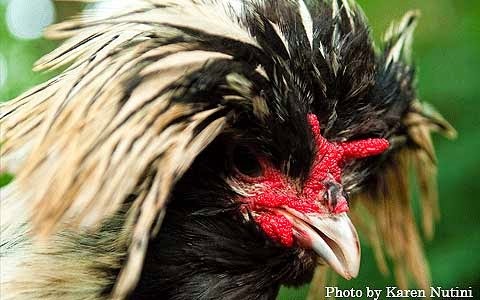 The site is called PoultryShowCentral.com and it is a great place to learn all about exhibiting poultry. The site was created by the Miller Family after they became interested in showing poultry and discovered that there wasn't a single source dedicated to the subject. The site includes a beginners guide to exhibiting poultry, a breeders directory, and there is a comprehensive calendar listing various show dates around the country. If you've ever been interested in exhibiting poultry, or just want to learn more about this part of the poultry keeping universe, check out their web site. 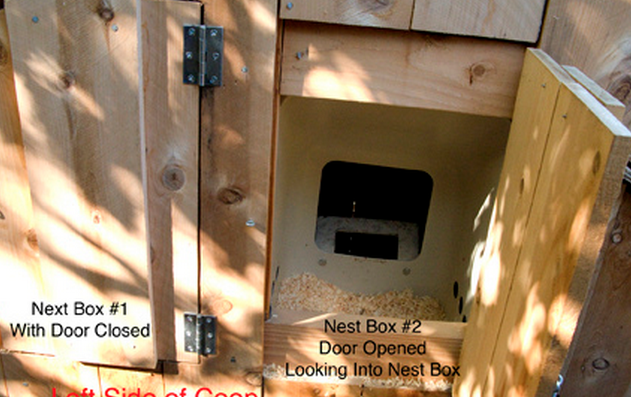 While there are many good coops sold as kits on the market today, many backyard chicken owners choose to design and build their own coop designs. Building one's own coop can be a satisfying experience and allows owners to create a unique coop that reflects their personal tastes and budgets. However, first time chicken owners lack experience and may create coops with design flaws that make the coop unhealthy for chickens and inconvenient for the owner. To help DIY coop builders, we are providing our list of the top five design mistakes. Inconvenient Access - A little upfront planning can save you lots of trouble over the life of your coop. Cleaning the coop is one of the least pleasant aspects of chicken keeping. Make it easier by designing your coop so that cleaning chores are easy. 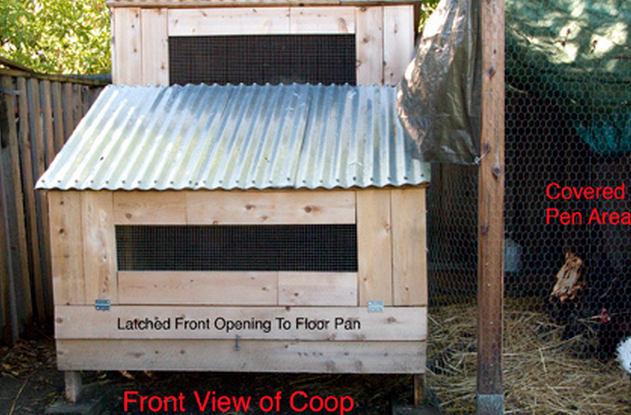 We designed our coop with a floor pan that is similar to those found in dog crates. To clean the coop, we open a small door at the bottom of the coop and slide out the pan. The contents of the pan are then easy to drop into our composter where they are then turned into garden soil for our vegetables. For larger coops where a pan may not be practical, an alternative is to create Dutch doors on opposite sides of the coop. When you need to clean, open the doors and rake out the soiled bedding. We've also made daily egg collection much easier by creating doors that allow access to nest boxes from outside of the coop. The doors makes daily egg collection a snap. To make chicken keeping easier, design your coop so that you can easily clean it and harvest eggs. Incorrectly Placed Perches - At night, chickens return to the coop and rest on perches, preferring those that are highest above the floor of the coop. Whatever is below these perches gets soiled by droppings. A mistake we made in our original coop design was to place perches below our nest boxes. This encouraged the chickens to use the nest boxes as nighttime perches (highest resting spot in the coop) and so the nest boxes became toilets. To correct the problem we needed to readjust the position of the perches relative to the nest boxes. To keep your nest boxes and any eggs in them cleaner, place perches above nest boxes. Bombs Away! Place Your Perch In the Right Spot. Coop Is Too Small - Building a coop that is larger than your chickens need may be wasteful of resources, but it's not going to hurt your chickens. However, a coop that is too small can lead to squabbles for space. If you don't have a run to go along with your coop and don't "free range" your birds either, plan on 10 square feet of coop space per bird. If you have a coop and run, plan on 4 square feet of coop space and 6 square feet of run space for each bird in your flock. 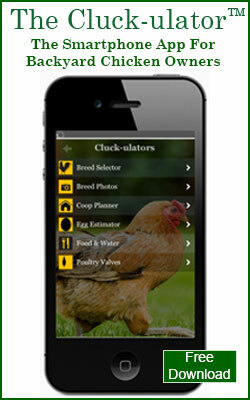 We are pleased to announce the release of the Cluck-ulator™ smartphone app, the most comprehensive app ever created for backyard chicken owners. Breed Selector - chooses the ideal breed of chicken when you selects the characteristics you want from a wizard like menu including: type of breed (egg layer, meat bird, dual purpose), laying amount, egg shell color, breed temperament, and four other important criteria. Breed Photo Gallery - allows you to choose the ideal breed of chicken visually by browsing through an alphabetical list of chicken breeds. Coop Planner - provides housing requirements including coop and run size, perch space and number of nest boxes needed when you select the number of chickens in your flock. Egg Estimator - provides an annual estimate of the number of eggs a chicken will lay when you select the breed and age of that chicken. 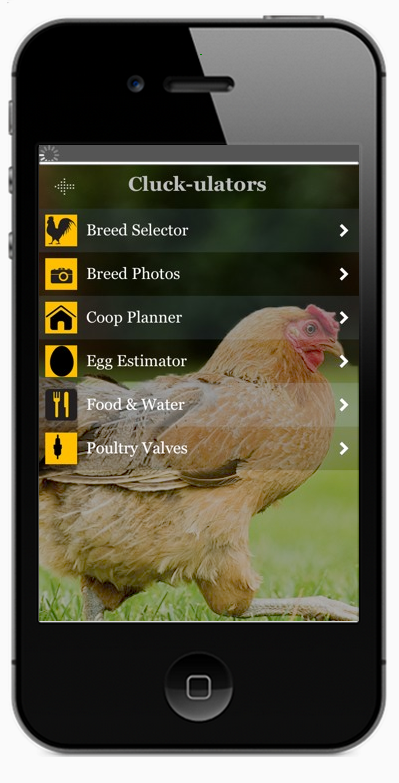 Food & Water Estimator - Calculates the daily food and water required for the flock when you select the number of chickens, type (egg, meat, dual purpose), growth stage, and outside temperature. Poultry Valve Calculator - calculates the water pressure and per cent of valve pressure capacity when the you select the height of the water column in their water supply tank. In addition, you get access to other resources within the app including our blog, Twitter feed, and Facebook page where information, tips, and other content of interest is regularly posted. 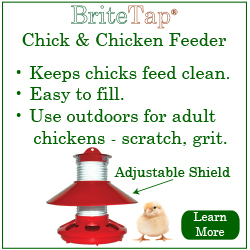 The Cluck-ulator requires an internet connection via either wi-fi or cellular service and can also be accessed via tablets or other mobile devices such as the Apple iPad, Kindle Fire, or Samsung Galaxy Note. 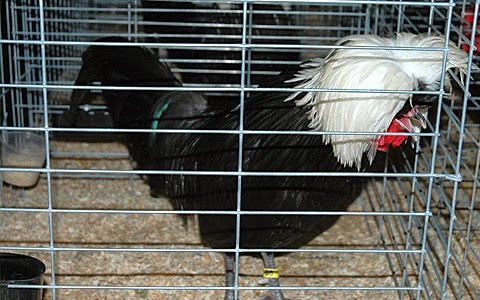 The polish is one of the most beautiful of ornamental chicken breeds. The most distinctive feature of the breed is large crest of feathers on the head that resembles a chrysanthemum flower in shape. Birds that meet the standard of perfection will have a crest that completely covers the comb. 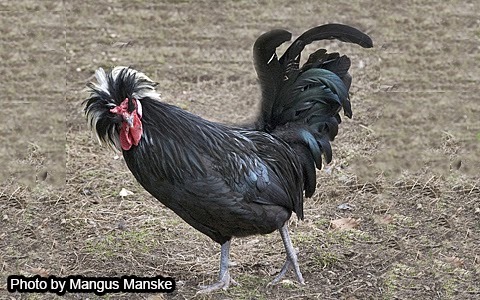 This crest derives from a large bony protrusion on the top of the breeds head that is found only in crested breeds such as the Polish, Crevecouer, and Houdan chickens. In the U.S., the breed is generally called the "Polish" but in in Europe it is more generally called a "Poland" and has historically also been referred to as "Pol," and "Polled." While the breed is quite old, it's origins are unclear and there is actually no hard evidence to suggest that it comes from Poland or anywhere else in Eastern Europe. In middle Dutch, a Germanic language spoken during the middle ages, the word "Pol" means head and this seems like the most reasonable origin of the breed's name. While beautiful, the crest of feathers has practical consequences for those considering adding the breed to their flocks. 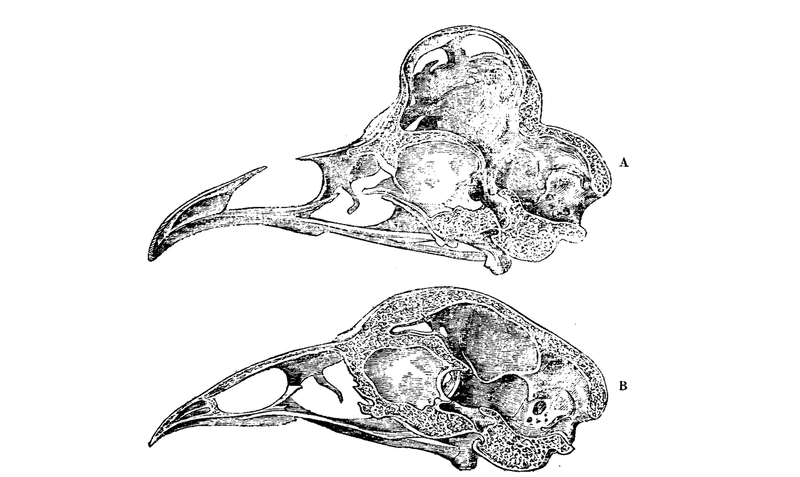 The crest limits the birds ability to see. 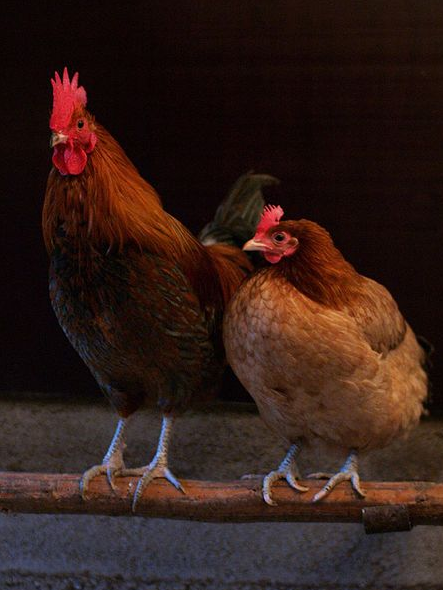 As a result, Polish chickens are more vulnerable to attack from predators and can also be injured by other chickens who have an advantage over them during squabbles. Owners interested in showing their birds in competitions should limit outdoor play time to days when there's no rain in the forecast. The U.S. Mint revealed plans today to produce a new .9999 fine gold coin. Studies show that pure gold coins account for over 70% of the world bullion market and that the Canadian Maple Leaf hold the number one spot in today’s Market. The U.S. Mint hopes to take a bigger share of this market by releasing a pure gold alternative to that offered by The Royal Canadian Mint. 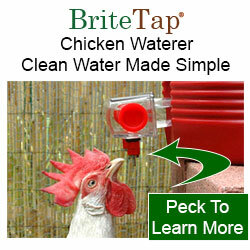 Happy April Fools Day from your friends at ChickenWaterer.com, makers of the BriteTap chicken waterer.